The perfect kitchen is mostly thought of as a myth as there are always imperfections that come into play when talking about the kitchen design. From aesthetics all the way to functionality and durability, many things are discussed by people looking to create their perfect kitchens. However, few aspects of the kitchen design get as much attention as the kitchen worktops. 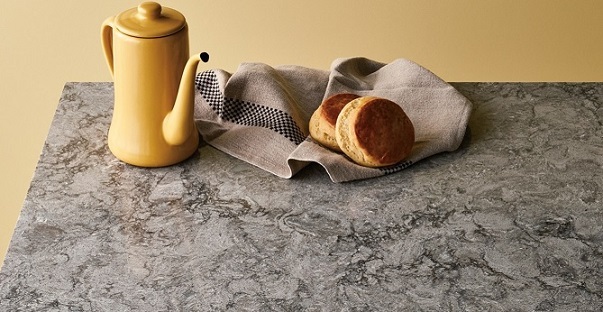 Check out this list of the top worktop materials and see which suits your style better. What is great for some might not work as well for others, and vice versa so it very much depends on what your kitchen theme is when it comes to what material is best for you. When it comes to kitchen worktops, there are few choices as popular as granite. That being said, it’s not without its flaws and most of them revolve around accessibility and price. However, there is more to granite than that. Let’s see what the pros and cons for granite are and what home owners are looking at when installing granite worktops. Resistance is another great quality for granite as it will allow its owner to be stress free and not have to worry about the worktop getting destroyed or ruined simply by being used. Aside from the fact that it can be very expensive, granite is also a pretty heavy material which means that you’re probably going to need help installing it. Since it’s not stone, it will come at a much more affordable price range which is great for those that don’t want to overextend on budget. It is sensitive to scratches and stains, which makes it fragile in a place where those things happen often. Quartz is a man-made material and provides a natural look to any kitchen. It is very durable, resistant to scratches, stains and heat. However, quality implies a high price. Quartz surfaces are hygienic because the material is not porous so bacteria and mold cannot hide. The surface is durable and, unlike granite, is not porous and does not require sealing. The fabric can have a shiny or matte finish, and some manufacturers even offer a textured material. The leading manufacturer of quartz surfaces is Caeserstone, check their Catalogue to see all the models. The quartz or technological stone as is known is made up of up to 93% quartz and 7% resin and pigment binders. Compared to composite materials, small pieces of mirror are included, which gives the material a special glow. The joints between the slab boards will be seen, but depending on the type of material chosen, they may be processed in such a way that they are very unobtrusive. Sinks can be installed on the countertop or under the countertop, but the top can be made of the same material. Being a product manufactured under industrial conditions, what you see in the store will be very close to what will fit in your kitchen. – Although it is a high specific gravity material, the material sheets are typically 12 to 15 mm thick and are doubled only in front to give them a higher apparent thickness without substantially increasing the weight.